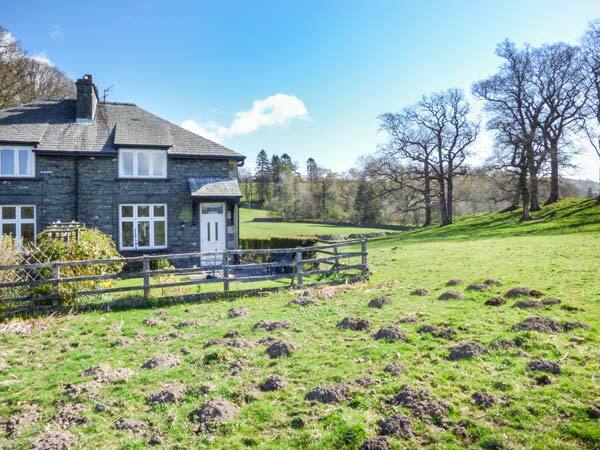 2 Merewood Cottages is a slate holiday home in the hamlet of Ecclerigg, 2.3 miles from Windermere. This cottage sleeps two people and has a double with en-suite wet room, a single, a ground floor bathroom with Jacuzzi bath, a kitchen with breakfast bar and a sitting room with dining area and electric fire. Outside there's off road parking for one car and a lawned garden with furniture. 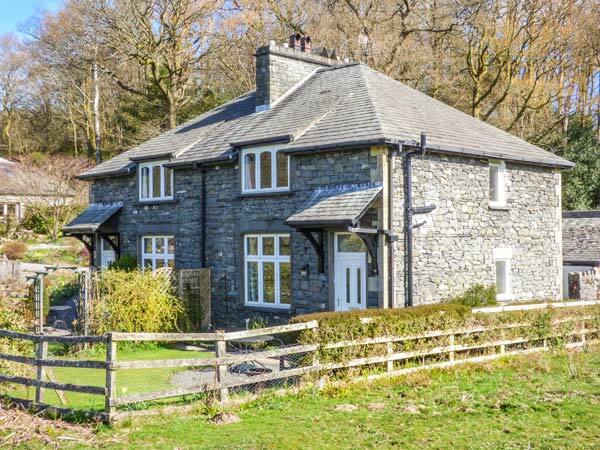 2 Merewood Cottages is a lovely base for a couple or friends to explore all that the Lake District National Park has to offer. Two bedrooms: 1 x double with en-suite wet room shower, basin and WC, 1 x single. Ground floor bathroom with Jacuzzi bath, shower over, basin and WC. Utility. Kitchen with breakfast bar. Sitting room with dining area and electric fire. Electric storage heaters with electric fire. Electric oven and induction hob, microwave, fridge/freezer, washer/dryer, dishwasher, Smart TV with Freeview and Netflix, WiFi. Fuel and power inc. in rent. Bed linen and towels inc. in rent. Off road parking for 1 car. Lawned garden with furniture. Sorry, no pets and no smoking. Shops and pub 2.3 miles. Note: No children or infants allowed and the cottage sleeps a maximum of 2 adults. Note: No smoking allowed in the property or the grounds. Note: This property cannot accept external visitors.